Metabolism refers to all of the chemical reactions that take place within an organism by which complex molecules are broken down to produce energy and by which energy is used to build up complex molecules. An example of a metabolic reaction is the one that takes place when a person eats a spoonful of sugar. Once inside the body, sugar molecules are broken down into simpler molecules with the release of energy. That energy is then used by the body for a variety of purposes, such as keeping the body warm and building up new molecules within the body. All metabolic reactions can be broken down into one of two general categories: catabolic and anabolic reactions. Catabolism is the process by which large molecules are broken down into smaller ones with the release of energy. Anabolism is the process by which energy is used to build up complex molecules needed by the body to maintain itself and develop. One way to understand the process of metabolism is to follow the path of a typical nutrient as it passes through the body. A nutrient is any substance that helps an organism stay alive, remain healthy, and grow. Three large categories of nutrients are carbohydrates, proteins, and fats. ATP (adenosine triphosphate): A molecule used by cells to store energy. Chemical bond: A force of attraction between two atoms. Enzyme: Chemical compounds that act as catalysts, increasing the rate at which reactions take place in a living organism. Metabolic pool: The total amount of simple molecules formed by the breakdown of nutrients. Nutrient: A substance that helps an organism stay alive, remain healthy, and grow. Assume, for example, that a person has just eaten a piece of bread. An important nutrient in that bread is starch, a complex carbohydrate. As soon as the bread enters a person's mouth, digestion begins to occur. Enzymes in the mouth start to break down molecules of starch and convert them into smaller molecules of simpler substances: sugars. This process can be observed easily, since anyone who holds a piece of bread in his or her mouth for a period of time begins to recognize a sweet taste, the taste of the sugar formed from the breakdown of starch. Digestion is a necessary first step for all foods. The molecules of which foods are made are too large to pass through the lining of the digestive system. Digestion results in the formation of smaller molecules that are able to pass through that lining and enter the person's bloodstream. Sugar molecules formed by the digestion of starch enter the bloodstream. Then they are carried to individual cells throughout a person's body. The smaller molecules into which nutrients are broken down make up the metabolic pool. The metabolic pool consists of the simpler substances formed by the breakdown of nutrients. It includes simple sugars (formed by the breakdown of complex carbohydrates), glycerol and fatty acids (formed by the breakdown of lipids), and amino acids (formed by the breakdown of proteins). Cells use substances in the metabolic pool as building materials, just as a carpenter uses wood, nails, glue, staples, and other materials for the construction of a house. The difference is, of course, that cells construct body parts, not houses, from the materials with which they have to work. Substances that make up the metabolic pool are transported to individual cells by the bloodstream. They pass through cell membranes and enter the cell interior. Once inside a cell, a compound undergoes further metabolism, usually in a series of chemical reactions. For example, a sugar molecule is broken down inside a cell into carbon dioxide and water, with the release of energy. But that process does not occur in a single step. Instead, it takes about two dozen separate chemical reactions to convert the sugar molecule to its final products. Each chemical reaction involves a relatively modest change in the sugar molecule, the removal of a single oxygen atom or a single hydrogen atom, for example. The purpose of these reactions is to release energy stored in the sugar molecule. To explain that process, one must know that a sugar molecule consists of carbon, hydrogen, and oxygen atoms held together by means of chemical bonds. A chemical bond is a force of attraction between two atoms. That force of attraction is a form of energy. 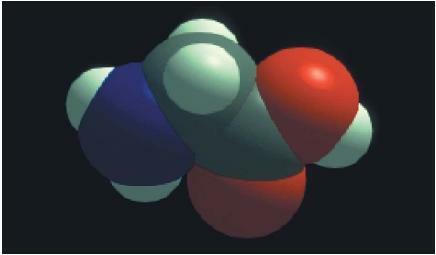 A sugar molecule with two dozen chemical bonds can be thought of as containing two dozen tiny units of energy. Each time a chemical bond is broken, one unit of energy is set free. The ATP molecule formed in this way, then, has taken up the energy previously stored in the sugar molecule. Whenever a cell needs energy for some process, it can obtain it from an ATP molecule. The reactions by which a compound is metabolized differ for various nutrients. Also, energy carriers other than ATP may be involved. For example, the compound known as nicotinamide adenine dinucleotide phosphate (NADPH) is also involved in the catabolism and anabolism of various substances. The general outline shown above, however, applies to all metabolic reactions. thank you. This explained much on an elementary level (my level). If the cell alters sugar and produces CO2 and H2O within does this cell release the CO2 into the main stream or pathway to allowing it to alter other body cells or tissue? The article is good enough.I want to know why we provide direct glucose to an ill person.we know that glucose is first converted to other compound and this consumes energy also.then providing directly glucose an ill person will lose his/her energy. Why doesn't the body use one step in breaking down glucose? good explaination of metabolism. but if i want some thig like explaintin of onthe manifacture of ATP in the body. i think the very reason why the body doesn't use glucose as an energy in its original form and thus needs to be broken down first in several steps is that the glucose molecule is so large it cannot pass through cell membranes as it is.it is a neutral molecule so it needs to cling first to phosphate-containing groups in the intercellular membrane space.. hehe im not actually so sure please correct it. into smaller ones suitable for use as gasoline? which metabolic process ,makes you grow? Catabolism or anabolism?? I needed to learn about Metabolism for my college Anatomy and Physiology class. This was kindly helpful. Does the body break apart the hydrogen and oxygen in water when we drink it?